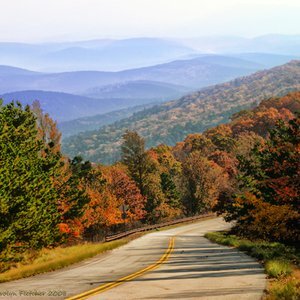 Nestled in the foothills of the Ouachita Mountains in southeastern Oklahoma, WhipPoorWill Resort & Fudge Factory is surrounded by beautiful mountainous terrain and trees as far as the eye can see. Choose from 17 comfortable studio, one, two or three bedroom log cabins, each of which comes with a fully-equipped kitchen, full bathroom, central heat and air, cable TV, outdoor grill and picnic table. Many of the cabins also come equipped with wood burning fireplaces or wood stoves to help you warm up on a chilly night. Whether you're looking for a romantic getaway for two people or are bringing multiple families together, WhipPoorWill Resort in Broken Bow offers just what you need in a vacation destination. Cabin 10, named Sweetgum Lodge, can sleep up to 10 people between four full-sized beds and a sleeper sofa. This three bedroom cabin also offers a large living, kitchen and dining area, as well as a spacious covered patio where you can enjoy the sunrise with a mug of fresh coffee. Make the most of your stay by exploring the surrounding 15 private acres that are teeming with birds, squirrels and deer, or bring along a fishing pole and try your luck at WhipPoorWill Resort's two fishing ponds. A children's play area, volleyball net, basketball goal and horseshoe pit are also available for resort guests. Enjoy a peaceful night under the stars roasting marshmallows at your cabin's fire pit. Firewood is available by request at no charge. The on-site Fudge Factory & Sweet Shoppe is an added bonus. Sample divine, freshly made fudge in flavors like chewy praline, maple nut, peanut butter or coconut crème. 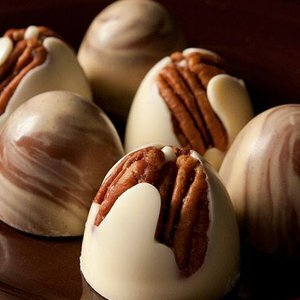 Flavors abound in the way of chocolates, as well, from chocolate pecan and amaretto chocolate swirl to chocolate walnut and mint chocolate swirl. In the fall and winter, seasonal favorites like pumpkin pie and caramel apple pie make their debut. WhipPoorWill Resort & Fudge Factory also has a wide variety of old fashioned candy, Big Foot Pops and unique gifts that you can't find anywhere else. WhipPoorWill Resort & Fudge Factory is conveniently located within five miles of Beavers Bend State Park, Broken Bow Lake and Cedar Creek Golf Course. Hours above are for the Fudge Factory. Cabin reservations are accepted from 9am-9pm. Located 12 miles north of Broken Bow on Hwy 259, across the street from Cedar Creek Golf Course.